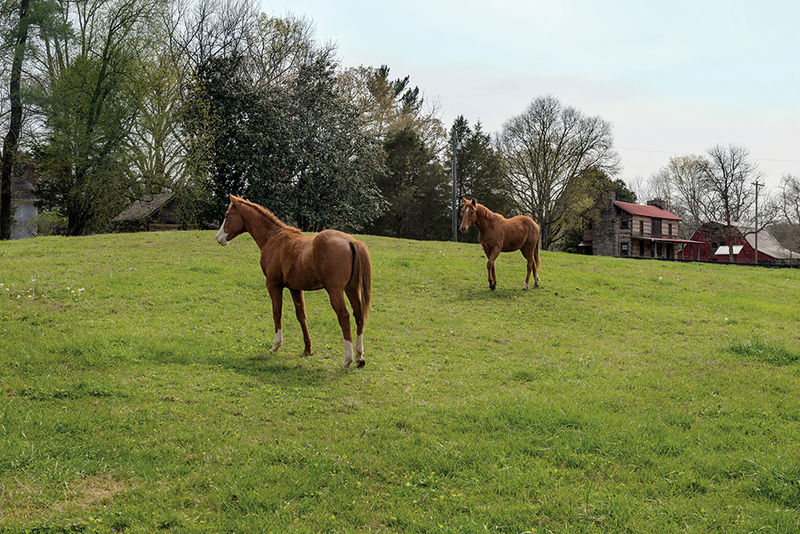 Along the tree-lined banks of the Harpeth River in the heart of Williamson County, Tennessee, it’s easy to fall under the charms of the agricultural patchwork and well-spaced ancestral homes. Not only does such a bucolic scene inspire a sense of serenity, it also points to our roots as a people: a continuum of culture that spans hundreds of generations and thousands of years. But on one five-acre lot in particular—one that’s located where the ruddy waters of Brown Creek spill into the Harpeth River—there is literally more truth to that than an untrained eye could possibly see. And protecting what most of us can’t see—clues that a great civilization that one anthropologist from MTSU knows thrived there long ago—is where Dr. William (Bill) and Tracy Frist come into this fascinating story. The heart- and lung-transplant surgeon and former majority leader of the U.S. Senate and his wife, an accomplished equestrienne and farm manager from Virginia who is one-quarter Native American, purchased the land in 2015 with the aim of preserving the site called Old Town, which contains the remains of the civilization that began some 12,000 years ago and flourished both economically and culturally for centuries. 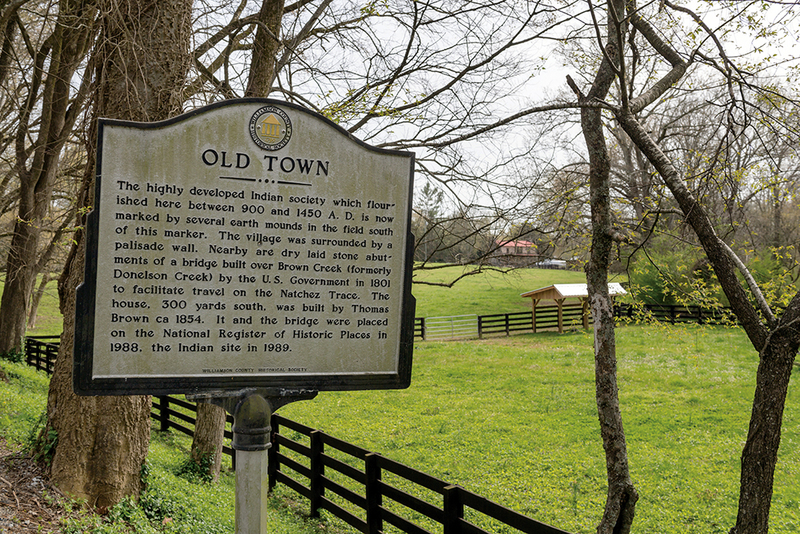 The Frists launched the Old Town Heritage Project shortly after purchasing the 40-acre property, located about 20 miles southwest of downtown Nashville. “The purpose of the Old Town Heritage Project is to support academic-led new discovery of the ancient history of middle Tennessee and the broad distribution and sharing of that new knowledge with the public and future generations,” he said. The Frists asked MTSU Anthropology Professor Kevin E. Smith to lead the scientific research component of the preservation effort. Smith had long been familiar with the site, having first explored the property superficially some 25 years ago at the request of previous owners. But what exactly are the Frists working with MTSU to preserve? But picturing what may constitute a “town” from the Mississippian Period can be a challenge. And why did they settle in what would become middle Tennessee centuries later? In a few small ways, Nashville has something in common with the prehistoric civilization that occupied middle Tennessee thousands of years ago: It is one of only a handful of U.S. cities to have three interstates intersect within its city limits, thus fueling economic trade in all directions. Agriculture remains the Volunteer State’s top industry. And to say it’s “densely populated” would be an understatement. The most obvious clues that mark the site as an ancient civilization are the multiple earthen mounds ranging from 4 to 12 feet in height that are scattered on a plot of land roughly the size of a football field. Smith, who has studied six other mounds in the region since the 1980s, said they played important, multifaceted roles in the lives of those who lived in the community. Kevin Smith, Sociology and Anthropology faculty. In addition to establishing vibrant trade relations throughout the region—the Natchez Trace perhaps being the most significant (and famous) prehistoric trade route for the region—the Mississippian people, as scholars know them, also cultivated a rich, highly developed artistic tradition. Previous owners of the property, including the Nashville historic families of the Browns and the Goodpastures, musician Jimmy Buffett, and later, singer Kim Carnes, took measures not to impact the site in ways that might be destructive. 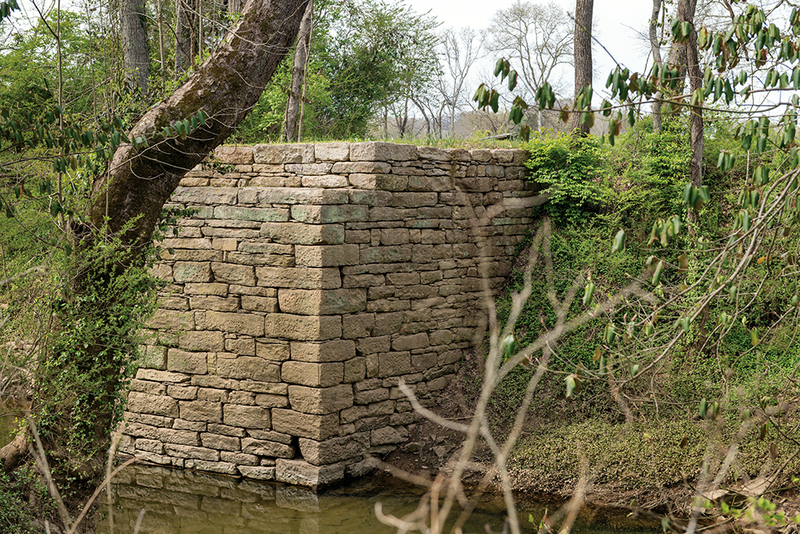 The Cromling family, originally from Ohio, restored the dry-stacked bulwarks of the historic 1802 Old Town bridge over Brown Creek and used state-of-the-art ultrasound technology to identify more than 220 ancient stone box burial sites in sampled areas around the mounds. And the Frists, working with MTSU, are taking giant steps toward preserving the site in perpetuity, but not without inviting other stakeholders to the table, too. For now, Smith is overseeing non-invasive exploration using radar-type equipment that can provide clues as to what secrets the mound may contain. This isn’t the first initiative funded by the Frists at MTSU. Far from it, in fact. The couple has donated several times to research-related causes in recent years. Dr. Frist’s interests in cultural and anthropological history span his lifetime and have led him to leadership roles in some of the world’s top institutions. He has served on the Board of Regents of the Smithsonian Institution in Washington, D.C., which is the governing board for all 15 individual Smithsonian museums and facilities. He currently sits on the board of the Smithsonian National Museum of the American Indian. 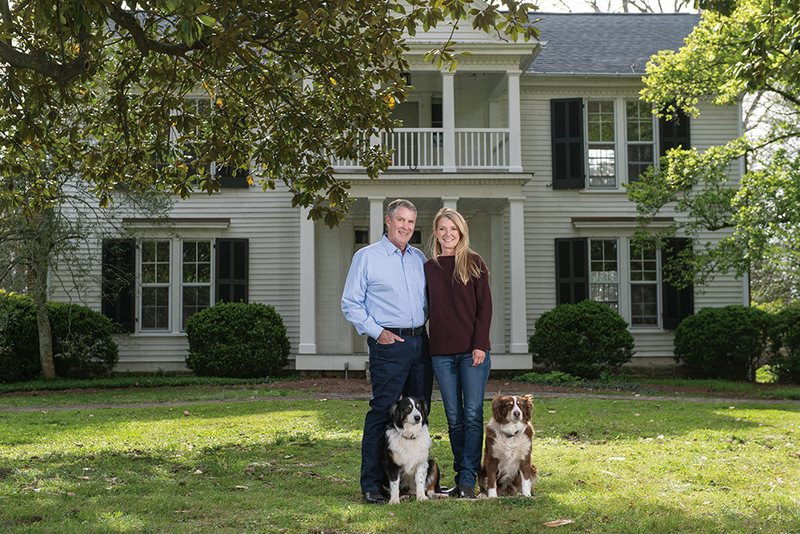 “Interestingly, both the Smithsonian museums of Natural History and the American Indian, as well as the Peabody Museum at Harvard, have ancient pieces and remains dating back a thousand years that were removed from our property at Old Town years ago,” Frist said. He also serves as a director on the global board of The Nature Conservancy, the largest land and environmental conservation group in the country. And the paternal grandmother of Tracy Frist is Native American, leading her to be a “devoted student of Native American culture,” he said. Together, the Frists have participated in the Lakota summer solstice celebration in South Dakota near Hill City the past four years, he said. And Tracy has long participated in Lakota Sun Dance ceremonies in the same region. A tradition at MTSU’s Fall Faculty Meeting is the annual presentation of the MTSU Foundation Awards, which recognize, celebrate, and reward University faculty members for their accomplishments inside and outside the classroom. 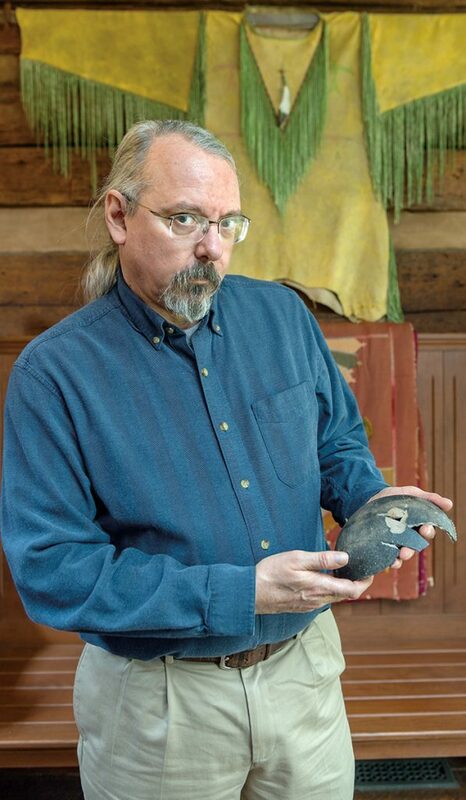 The 2017 recipient of the foundation’s Career Achievement Award, considered the pinnacle of recognition for stellar MTSU professors, was Kevin E. Smith, a nationally recognized professor of Anthropology at MTSU since 1988, a full-time faculty member since 1994, and the founder and director of MTSU’s Anthropology program in the College of Liberal Arts’ Department of Sociology and Anthropology. Smith’s research interests lie in the archaeology of the southeastern United States, with a particular focus on the late prehistoric Native American cultures of middle Tennessee pre-1500 C.E., Tennessee’s late 18th- and early 19th-century frontier period, and African-American life from slavery through Reconstruction. 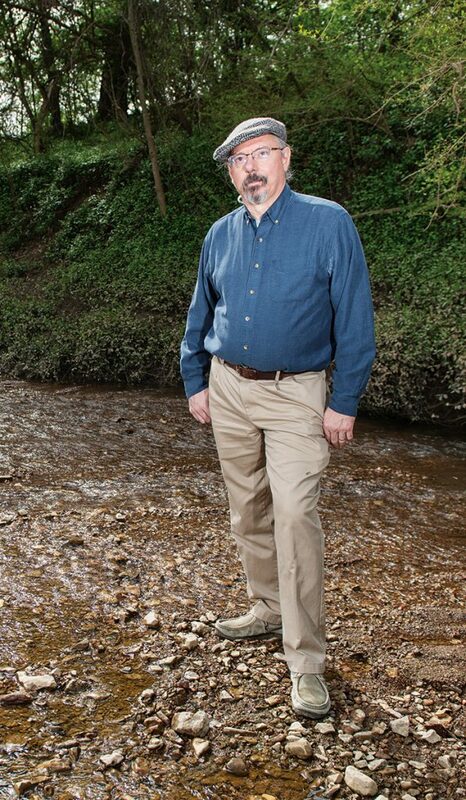 He’s an internationally recognized scholar on middle Tennessee’s archaeology and an acclaimed mentor to hundreds of students whose involvement in the more than 30 different courses he’s taught at MTSU is enabling them to take their knowledge and talent around the world. Smith said he felt MTSU’s Anthropology program has been vital over the years in preserving archaeological sites around the region as the areas around Nashville experienced tremendous growth and development over the years. In addition to his University service, Smith has organized or chaired more than 20 national,regional, and state conferences and symposia and conducted archival and collections research for theSmithsonian Institution’s National Museum of the American Indian and the Tennessee State Museum, among others.